A keynote talk by Henry Fuchs recorded at the IEEE ICME 2012 conference gives some insights into present research and future direction of telepresence technology. Watch the entire talk at VideoLectures.net. Dreams of telepresence are fed by special effects in movies, on stage, and even in mainstream news programs. These illusions may satisfy most passive viewers, but do not work for the actual distant participants. Even today’s best “Telepresence” systems have difficulty supporting such simple capabilities as eye contact and gaze awareness among these multiple distant participants. 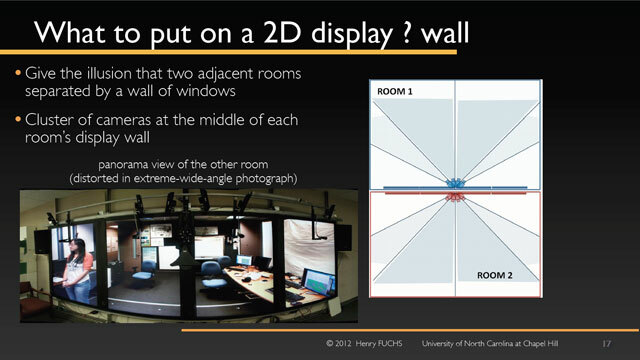 Fuchs reviews some component technologies needed to achieve natural – some would say “transparent” – telepresence (3D acquisition, tracking, rendering, 3D display). The talk presents some recent progress, and outlines several promising future directions. 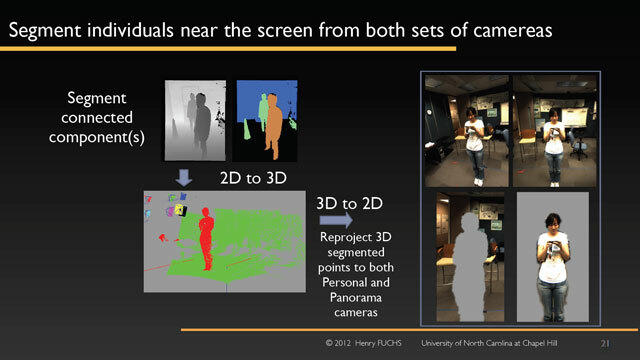 Specifically, recent progress in 3D depth cameras, and in multi‐viewer autostereo displays may make possible dramatically improved telepresence systems within the next few years. Such progress will allow development of a new generation of capabilities, such as the distant participants mixing naturally and arbitrarily in a shared space, which today are beyond consideration of even the best “Telepresence” systems. Watch the talk and get the slides for free at VIDEO LECTURES. Henry Fuchs works at the Department of Computer Science, University of North Carolina at Chapel Hill. He has been active in computer graphics since the 1970s, with rendering algorithms (BSP Trees), hardware (Pixel-Planes), virtual environments, tele-immersion systems and medical applications.